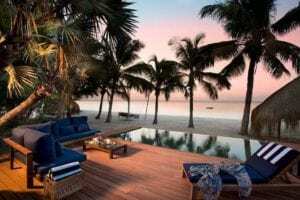 Holiday Accommodation in Bazaruto. We’re pretty much done with the year 2017 and an island holiday in say, Bazaruto, Mozambique is absolutely a good idea. A lot of us are hanging on by the remaining mileage in our productivity tanks and our minds occasionally drift and daydream about a land not too far away; with serene, picturesque sand beaches and cocktails with local names we aim to one day pronounce correctly. So, with that in mind, nothing says ‘serene’ like the pearl white beaches of the Bazaruto Islands. 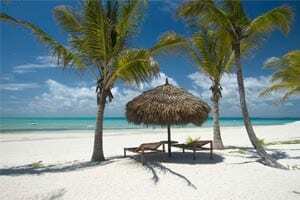 The group of six islands in that southern part of Mozambique are namely; Bazaruto, Benguerra, Magaruque, Santa Carolina (or Paradise Island), Bangué and Shell. The mainland gateway to the sheer beauty and diversity of the islands is Vilanculos and we think the fact that the town is growing as both an economic and tourism hub for southern Mozambique is more than enough reason to book a stay at one of our Bazaruto accommodation options. At Mozambique GSA, we revel in the delight of offering prime, luxury lodge offerings that fit your pocket and surpass your island-lifestyle holiday dreams. The list of Barazuto lodges below is proof. Tucked away in the little town that shares the same name, we’d forgive you for forgetting that the lively atmosphere of the local people and the plethora of restaurants and bars comes as an added extra to the quiet, uninterrupted views one gets when seated by the pool, with cocktail in hand and all work stresses a far-gone memory. “Bahia” is both a Spanish and Portuguese word for “bay”. If the gorgeous, unspoilt ambience of this Indian Ocean bordering oasis doesn’t keep your worries at bay, then please find us and tell us what will. Bahia Mar is the perfect balance between tranquillity; with its beautiful luxury suites that encompass a private terrace, barbeque and splash pool and the other side of the coin that offers guests adventure with the array of activities you can spend your sunny vacation days doing. Sign up for scuba diving or catch a canoe trip or simply make time for horse-riding right on the beach before brunch, whatever your whims, Bazaruto has you got covered. The largest and most northern of the 6 islands in Bazaruto Archipelago, this piece of island paradise is regarded as one of Africa’s premier scuba-diving and fishing destinations. Come alone, bring a lover or rope in the entire family for a trip. Once you have that final number of travel companions, we’re certain there’ll be more than enough on offer to keep everyone enthralled. Recently reopened after major refurbishment, &Beyond’s Benguerra Lodge is a gloriously shaded and airy roomed treasure. The tall palm trees and the ingenious, rustic feel of their different sized lodgings are a beautiful sight to behold. The Azura Benguerra Island Retreat. Without showing any bias to any one of our Bazaruto accommodation deals, Azura is a modern, chic adaption to Mozambique’s traditional architectural styles and cuisine tastes. Lying neatly in the north-western part of its neighbouring Archipelago islands; 22 private villas plus a fully decked spa with traditional treatments to rival many experts the world over, you would do well to secure a stay here and reward yourself for the hours of hard work you put into 2017. Mehmet Murat ildan summed up our quality services well when he said, “In matters of healing the body or the mind, vacation is a true genius!” Take the time out!